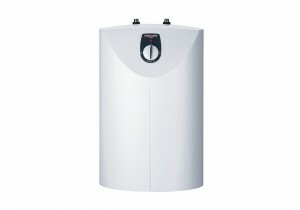 Made in Germany, the SNU 5 Stiebel Eltron under sink water heater is an instant, no fuss way of supplying hot water in any situation. It is easily installed under the sink reducing pipe runs and providing instant hot water. With its new ‘Drip-Stop’ design, the SNU 5 saves water by eliminating drips while the water heats up. The SNU hot water system incorporates a highly efficient insulation system which provides thermal insulation and minimal energy losses. The thermal cut-out provides a permanently safe maximum water temperature. In addition the SNU has a Thermo-Stop function that helps to save energy and prevents the mixer tap from being heated in stand-by mode. These features, coupled with a range of tapware specifically designed to complement the brilliant SNU point of use heaters, ensure that we have the ideal solution for your kitchen, tea preparation or BBQ area.